SYDNEY: Woodside Petroleum has agreed to buy half of BHP Billiton’s stake in the Scarborough area gas fields, off the Western Australia coast, as it continues to expand its portfolio amid a prolonged slump in energy prices. Australia’s largest oil and gas producer will pay BHP $US250 million ($A330 million) on completion of the deal, and another $US150 million ($A198 million) when a final investment decision is taken to develop the Scarborough gas field. In return, it will get a 25 per cent and 50 per cent stake in the two offshore permits that make up the Scarborough gas field, as well as a 50 per cent stake in two other offshore permits that contain the nearby Jupiter and Thebe gas fields. The acquisition would complement Woodside’s growth strategy and leverage its deepwater and LNG capabilities, chief executive Peter Coleman said. The cash-rich company finds itself in a better position than debt-laden peers who have struggled amid the price downturn, and has been looking out for acquisition opportunities even as competitors are retreating from international acreage. It snapped up ConocoPhillips’ stake in three deepwater oil blocks off the coast of Senegal in July for $US350 million. It has also been looking at options to develop its recent gas discoveries in Myanmar. The three Scarborough gas fields hold probable reserves of 8.7 trillion cubic feet of gas. 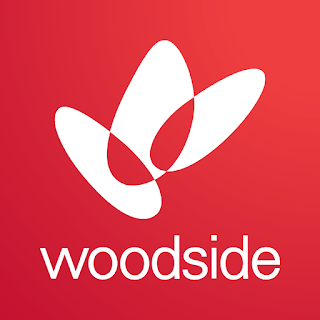 Woodside’s net share is estimated at 2.6 trillion cubic feet of gas. The assets are part of a planned $US10 billion LNG project by BHP and US energy giant ExxonMobil that was shelved following the collapse in oil and gas prices since mid-2014. BHP, which suffered a record full year loss of $US6.39 billion after plummeting oil and iron ore prices wrecked its bottom line, has been looking to streamline its diverse portfolio of assets and shift focus on growing its conventional oil and copper businesses. The deal is subject to regulatory approvals and consent from ExxonMobil, which holds pre-emption rights on the assets. At 1155 AEST, Woodside shares were up 30 cents, or 1.1 per cent at $28.38 each. BHP shares were also up 52 cents, or 2.6 per cent at $20.36.